"I love garlic! It's so easy to roast, and there are so many different ways to do it. It's great when spread on crackers or bread, or mixed into hummus, pasta sauce or just about anything else!" Method 1: Preheat oven to 250 degrees F (125 degrees C). Slice 1/4 inch off top of garlic bulb. Place in a small baking dish and drizzle with olive oil. Bake in preheated oven for 20 minutes, until outside is lightly browned and garlic cloves are soft. When cool enough to touch, squeeze each clove to extract softened garlic. Method 2: Preheat oven to 250 degrees F (125 degrees C). Peel each garlic clove. Place in a single layer in a small baking dish and drizzle with olive oil. Bake for 15 minutes, until garlic is soft. I normally use Method 1, but tried the 2nd methold this time. It worked very well. 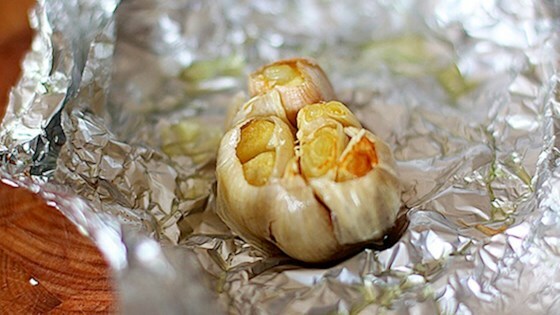 I didn't know that you can roast garlic this way. Thanks for the post.